The tire swing is a classic favorite among kids and older family members. 7′ (2134mm) height with a 3.5″ (89mm) O.D. x 8 gauge (4mm) galvanized steel topbar. Complete with tire swivel bearing and tire swing assembly. 30in (762mm) diameter tire with a 16in (406mm) opening and is 10in (254mm) deep, polypropylene construction with built in eye bolts. Tire weighs only 19 lbs. 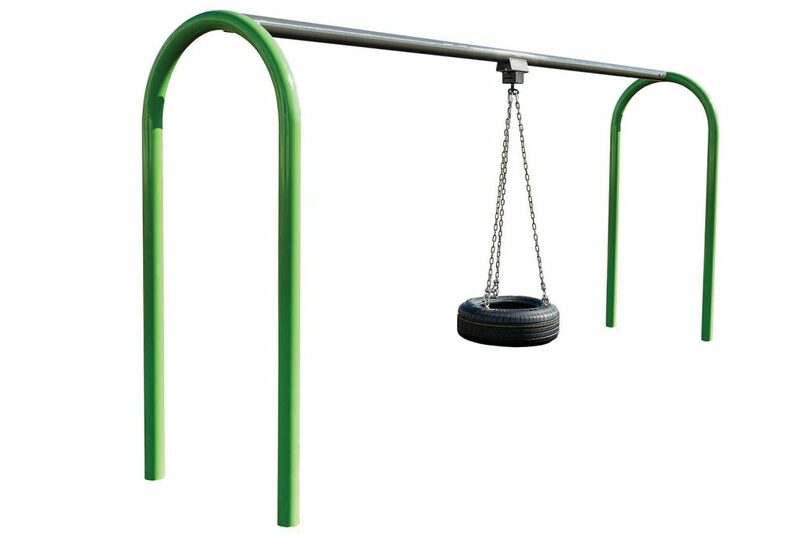 This is a great tire swing as no bugs or water can get in it and there is no rubber to wear off and stain the children’s clothes. Complies to ASTM F1487 and CSA Z614 Standards.